Midsommarfest this weekend Reviewed by Edgeville Buzz on June 9, 2011 . Vote in our poll: What do you enjoy most about Midsommarfest? 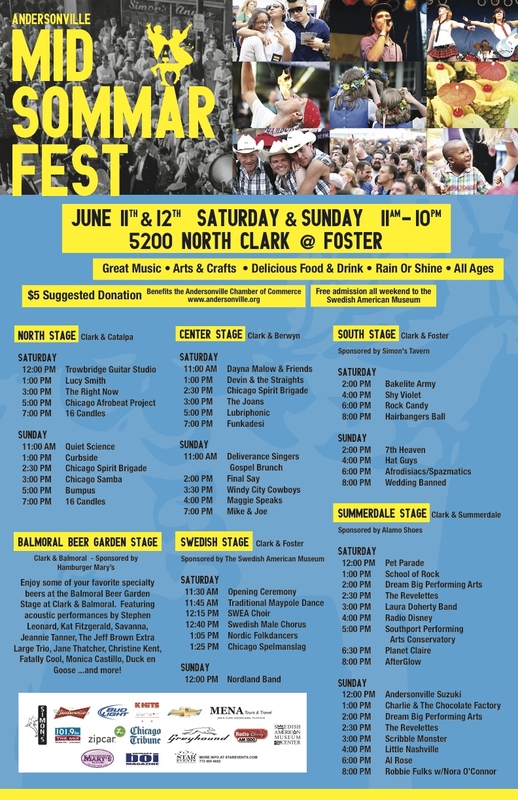 As if you need a reminder, Andersonville Midsommarfest is this Saturday and Sunday! The festivities will be held north of Foster and south of Catalpa. To help you navigate the event, we’ve included some handy info below. 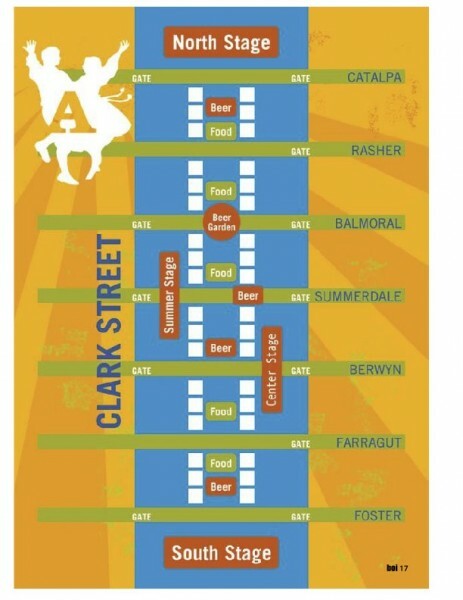 The Andersonville Chamber of Commerce is the best source of info for Midsommarfest. Particularly, check out this guide (click here) which gives a full lineup of bands and events including the Balmoral Beer Garden Stage and the Family Area Activities which I do not believe were originally listed on the official poster printed a few weeks ago. In addition, the Chamber will be handing out info when you walk into the festival. Have fun & anyone with pictures from the event are encouraged to email them to us!